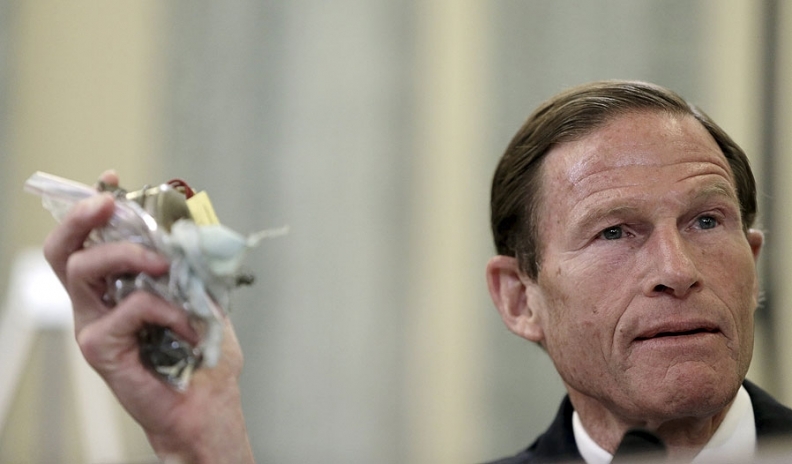 U.S. Sen. Richard Blumenthal, D-Conn., received Takata's letter on Thursday. TOKYO (Bloomberg) -- Takata Corp., the Japanese auto-parts maker at the center of a global safety crisis, rejected a U.S. senator’s request to set up a fund that would compensate people injured or killed by its airbags. The auto supplier notified U.S. Sen. Richard Blumenthal, D-Conn., of its decision after the lawmaker called for a fund similar to what General Motors established last year for people killed or injured by defective ignition switches. Takata airbags so far have been linked to eight fatalities and 130 injuries. The decision risks opening Takata up to more criticism by U.S. legislators who have held four hearings in the past eight months to grill the company over faulty airbags behind what is expected to become the auto industry’s biggest recall in history. The defective devices, which can rupture during deployment, continue to take a toll on customers such as Honda Motor Co., which expanded its recalls on Thursday to 24.5 million vehicles. In response, Blumenthal called Takata’s decision a “callous misjudgment” and said he would press the company to reconsider. After Thursday’s safety action, Honda has now recalled more vehicles in each of the past three months than it sold all of last fiscal year. The carmaker, which owns 1.2 percent of Takata, is also increasingly recalling newer vehicles. While previous campaigns affected cars as far back as the 2001 model year, Thursday’s recall involved vehicles made as recently as the 2011 model year. Ryan Been contributed to this report.